If you are checking this post in 2019, here’s the latest post on Fundraising Trends in 2019. 2017 came to a close, and the nonprofit sector had a good year. Total charitable donations rose to a new high of $390 billion in 2016 and are projected to rise by 3.8% in 2018. What else is going to happen in 2018? 2018 is looking good for the nonprofit sector, but in order to keep up with the rapidly changing demands of the sector, we’ve put together a list of 8 biggest fundraising trends that your nonprofit should keep in mind for 2018. One of the most important metrics for a nonprofit is donor retention. And much of the work to be done to improve donor retention focuses on improving the Donor Journey. The Donor Journey is to the nonprofit world what customer journey is to the for-profit world. Some believe that a donor journey begins when a donor decides the cause they want to support and then researches options on where to give. Others think a donor journey begins when someone first finds out about your nonprofit. Whenever it starts, it’s as important as ever to pay attention to it. Crafting and monitoring your nonprofit’s donor journey is essential to achieving your fundraising goals and delivering your mission. By understanding the journey your donors are on, you can create the marketing and fundraising materials needed to take them through that cycle. This will keep donors moving along on their journey. Finally, mapping out what donor journeys looks like for your organization’s donors (how they may have heard about you, the different donation opportunities, etc.) can inform what content someone needs to encounter at one stage to move them to the next. Therefore, thinking about your Donore Journey informs other areas of activities within your nonprofit. Use personas to determine who you should be talking to. Who are the ideal people that give to your organization? What are they like? Design/adjust your marketing strategy accordingly. Make your nonprofit discoverable. Use both inbound and outbound marketing. Use videos. Studies show that people are 59% more likely to watch a video than reading posts and 51% of marketers name video as the type of content with the best return on investment. See Trend #4. Always thank your donors. An especially important time is right after someone makes a donation, particularly if it’s their first time giving. It’s important for your donors to feel connected. Make your communication frequent and genuine. Big data sounds scary. However, technology and data don’t have to alienate us; they can bring us closer together. Technology can help rally people around important ideas they care about, in ways that were previously not possible. For-profit organizations have been harnessing the power and versatility of big data for a while now. Now, the social sector is getting in on the action. However, many nonprofits struggle to utilize big data in effective ways. Data privacy concerns, lack of data sets, and a lack of knowledge on how to work with data are usually the main problems. The Internet of Things (the idea that one day all of our devices and items will be connected to the Internet) is very real. Forbes is reporting that 2018 will be a “massive” year for the Internet of Things, with mass adoption estimated within five to 10 years. The Internet of Things will mean a lot of data. And data can be used to increase personalization – vital not only in attracting first-time donors but also in retaining them. If you’re not working with data yet, get started. If you don’t have a CRM software, look into your options. With Donorbox, you’re able to obtain your donor data as csv and then auto-export your donor data to MailChimp and Salesforce NPSP. Otherwise, continue tracking as much as you can about your donors. Track everything from basic demographics to giving amounts, preferred communication methods etc. Some nonprofits track zip codes, wealth, and social media postings to predict who will be their next major donor. The idea is to gather as much information as possible on your donors, and then tailor your approach. Across the board, people are demanding authenticity. Recurring themes seem to be genuine engagement (i.e. social as a two-way street) and utilizing influencers. Although data (see trend #2) matters, nonprofits who prioritize donors over data will win the online donation race. Technology does reign, as showcased in the most upcoming trends in this list, but there is also value in returning to the basics and focusing on the human aspect of running a nonprofit. This can be done by creating a culture within your nonprofit that is in touch with human emotions. The back-to-basics approach can also mean personal contact with your donors, including in person and by phone, to make that human connection stronger and more authentic. Some nonprofits have started using influencer marketing as a way to be perceived as more authentic, as most of Gen Y and Gen Z prefer seeing real people in ads and videos rather than celebrities. Additionally, several social media platforms have invested in the feature of “ephemeral” content, in which content deliberately “times out” after a set point. Although this type of content is temporary (with an average lifespan of around 24 hours), it can still make a big impact because it comes across as more authentic. YouTube has over a billion users, almost one-third of total internet users and more than 500 million hours of videos are watched on YouTube each day. One-third of online activity is spent watching video. Over 500 million (half a BILLION) people are watching video on Facebook every day. Everything points to one thing. Video is the way to go in 2018 to raise more funds and grow your reach. Social video generates 1200% more shares than text and images combined. With videos, you want to catch people’s interest and keep it. Include a call to action and encourage them to engage. The ultimate goal is to turn a video viewer into a donor. So, what can you do make videos part of your nonprofit marketing strategy? – Use video to share your mission. 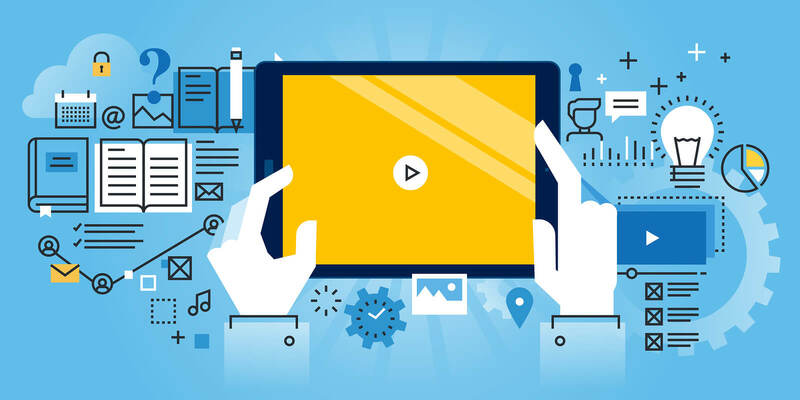 A video on your nonprofit’s homepage that gives your visitor information on your organization can lead to them starting to follow you on social media, subscribing to your newsletter, or even donating. – Share how you’re using the donations. Nonprofits often use graphics and narration for this type of video. See this World Vision video for an example. – Showcase your impact. Whether it’s a video with graphs and charts or powerful stories featuring your beneficiaries, video is a great medium for showcasing your impact. This also helps viewers have an intimate understanding of who they’re helping and what their donations will be going towards. – Celebrate your donors and supporters. Thanking your donors and showcasing the impact of their support is a great way to attract new and retain old donors. Live streaming. Organize a live Q&A session. This is a way to immediately engage with your community and receive instant feedback. Temporary video. Consider using Snapchat and Instagram Stories to connect with your supporters and showcase your day-to-day activities. Video in emails. Email marketing is still an effective fundraising strategy when it comes to charitable giving. Emails with videos receive higher open and click rates. Make it easy for your donors to give by working on your donation page. Donation page can be a nonprofit’s worst enemy when it comes to fundraising. If a donation page is disorganized, difficult to navigate, overwhelming or confusing, it defeats its own purpose: increasing donations. Every day, people are emailed about a campaign or see a new video promoting a cause. Regularly, people are asked by multiple friends to support their fundraisers and crowdfunding projects. Some nonprofit professionals worry that there could be some donor fatigue in 2018. There is no single best way to stand out in the sea of nonprofits and fundraisers. Hyperpersonalize your communication to your donors as much as possible. Use storytelling to engage viewers. Engage Gen Z by using Youtube and Snapchat. Automate your marketing: use a software that streamlines, automates, and measures marketing tasks and workflows, so you can increase your operational efficiency and grow revenue faster. Generations Y and Z prefer being communicated with via social media networks, whereas Baby Boomers prefer email and direct mail. However, even Boomers have moved to online giving – nearly half give online only. A lot of online giving is done via mobile devices and tablets. Furthermore, donors are increasingly using digital wallets. At Donorbox, we wanted to make sure donor payments can be made via ApplePay and Google Pay – making paying simple and fast. Changes in payments and blockchain technology are also important, because changes in payment speed, security and flexibility will impact how and when people choose to donate. One-click payments with digital wallets might not become the norm in 2018, but they will certainly start taking hold. In 2018, every nonprofit should offer a mobile app to make donations simple and easy. What’s more, the mobile version should include a recognizable logo and informative pages. Any crowdfunding campaign should be run on a platform that’s optimized for mobile devices. When you host fundraising events, for example, you’ll be able to take in-person donations, using your phone or tablet as a donation station. Mobile optimization needs to be your focus. If your website doesn’t look good on mobile devices, Google won’t show even you in the results if someone searches from a mobile device. It’ll be like your site doesn’t even exist. We live in a world of increasingly socially conscious consumers. In the for-profit sector, consumers are turning to organizations that are able to demonstrate their products have been sourced and produced ethically, to organizations that are more environmentally friendly and sustainable, and to corporations that are, at the very least, philanthropic. In the same vein, donors are becoming increasingly particular about contributing to organizations. To respond to this trend, your nonprofit should focus on impact reporting – explaining how donations are directly serving the beneficiaries. Impact reporting can really boost donations and volunteerism in a meaningful way. As a way to do this, nonprofits usually create annual reports which provide a broad overview of how donations were used to accomplish objectives and deliver the nonprofit’s mission. While this is a great start, it is no longer enough for donors. For donors, the desire to understand how their contribution made a difference is not going away. In order to be able to communicate your impact to your donors, you have to define it and measure it first. Work on the Theory of Change model. Be clear on the purpose and impact of your nonprofit, your long-term goals, your audience, and have discussions on what success looks like in your nonprofit. Identify specific changes and outcomes that demonstrate the success/impact that you outlined above. Create outcome/impact indicators that are specific, measurable, understandable, time-bound, and actionable. Choose the methods you will use to track each indicator, and store them in an online database. Make sure the data is secure. Once you synthesize all the data, you can deliberate and define the impact presentation with your team. It will be important to communicate the findings to your donors in an engaging, clear, and relevant manner. Studying trends can give us insights into how people interact with the world, and once we understand why people act the way they do, it can become easier to motivate them to take action. For nonprofit professionals, it’s essential to be aware of trends in technology, demographics, fundraising, philanthropy, marketing, government and law, in order to understand (and ideally predict) donor behaviors. This helps nonprofits understand how to encourage individuals and groups to give. Understanding the latest fundraising trends can give you an advantage. Use the trends outlined above to create and refine a winning fundraising strategy for your nonprofit. Each nonprofit organization will have their own takeaways from these trends based on the demographics they appeal to and the existing programs they provide. For more guidance, check out these great fundraising tips and discover more in-depth resources through the Donorbox blog.